Rivera, a 48-year media veteran who has won multiple awards for his work, met his wife Erica in the area and resides with her in Shaker Heights. When Cleveland radio legend John Lanigan abruptly retired on the air last month, the local air waves seemingly had a gaping hole to fill. However, another big name is about to try and fill it. 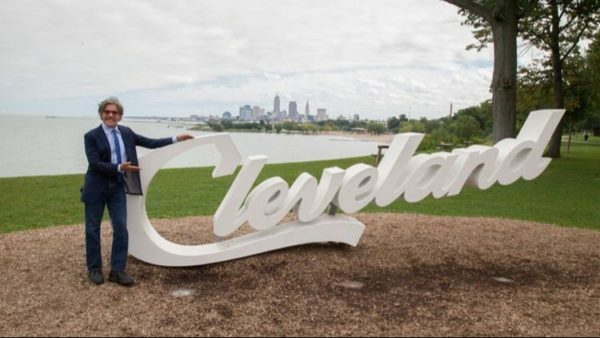 WTAM 1100 announced Saturday that award-winning journalist Geraldo Rivera will be joining the station this coming Monday to host a new show, Geraldo in Cleveland. The one-hour program will air weekdays at 9 a.m. and replace The Spew, Lanigan and Mike Trivisonno’s old debate show. As mentioned, Rivera will continue his television work with Fox News as a correspondent at-large. On his WTAM show, he “plans to cover a range of local and national headlines, including the latest business, political and pop culture news.” The 75-year-old will also host a weekly podcast for iHeartRadio. In addition to Rivera, former Indians relief pitcher Jensen Lewis will also join the station full-time after previously serving as a fill-in host on The Spew, where he replaced Lanigan for the last month. Lewis will move to the 6 p.m. hour and co-host Sport Feed 2.0 with Nick Camino and Trivisonno, while also continuing his duties as a pre and post game analyst on Tribe television broadcasts. ON HIS FIRST PROGRAM MONDAY GERALDO’S GUEST WILL BE PRESIDENT DONALD TRUMP.